Fort Raymond was activated on 1 July 1941, with the purpose of protecting the rail terminus and the ice-free port of Seward, leading up to WWII. The fort was named after Captain Charles W. Raymond, a member of the U.S. Army Corps of Engineers. Captain Raymond had been sent to Alaska in 1869, to determine the precise location of Fort Yukon. When he confirmed that Fort Yukon was indeed within the Territory of Alaska, Raymond evicted the famed Hudson Bay Company from the region. At its peak, Fort Raymond housed over 170 officers and 3200 enlisted men. In 1940, the civilian population of Seward was only 949. On 25 March 1942, a Japanese submarine was spotted in Resurrection Bay, only 2000 yards from the Army dock. By June of that year, Japanese troops had taken the islands of Kiska and Attu in the Aleutian Chain, and Dutch Harbor had been bombed. But by the fall of 1943, the Japanese had been forced out of the Aleutians, and the threat to Alaska had decreased substantially. In November of 1944, the fort went into caretaking status. 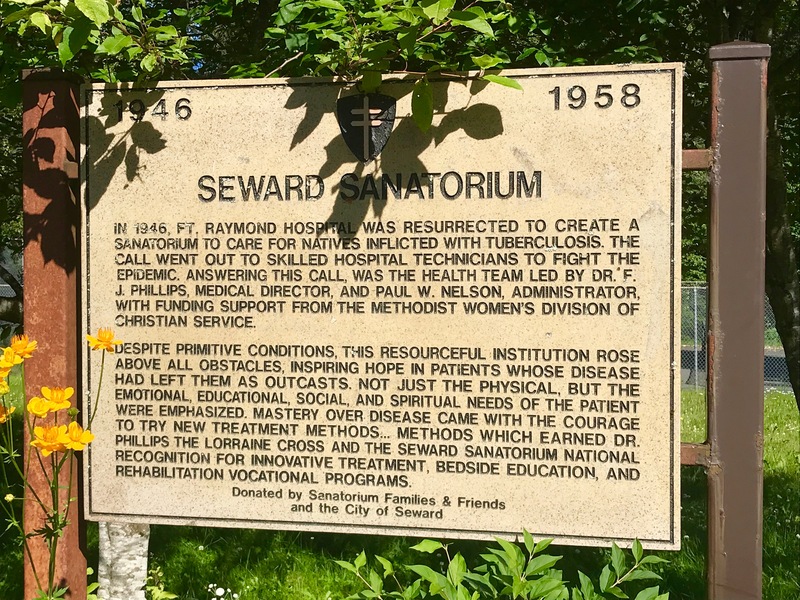 In 1946, the hospital at Fort Seward was renovated into a sanatorium for Alaska native children with tuberculosis. The sanatorium was open for 12 years. The 1964 Good Friday Earthquake wiped out much of the town of Seward, including what remained of Fort Raymond. Several buildings from the fort can still be seen in Seward, however. Many quonset huts are scattered about the town, that came from Fort Raymond. The NCO building had been built out of local logs. That building is also still in use; it is the bottom half of the local American Legion post. 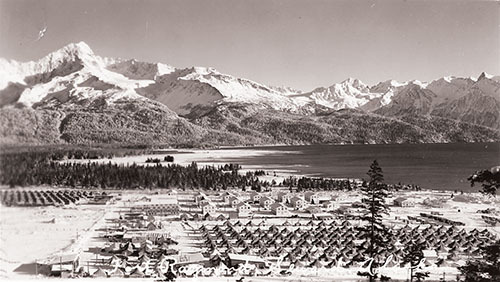 Today, the Seward Military Resort is located on the land that Fort Raymond once stood on. 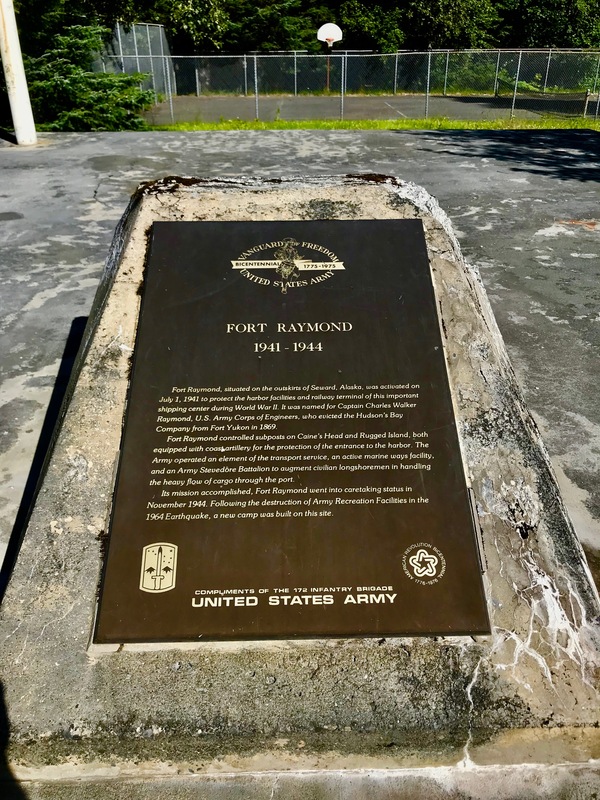 This entry was posted on Saturday, August 11th, 2018 at 5:52 AM	and tagged with Alaska, fort raymond, photo, Seward, travel, WWII and posted in history. You can follow any responses to this entry through the RSS 2.0 feed.